Sterling silver pets paw print diamond set heart locket. 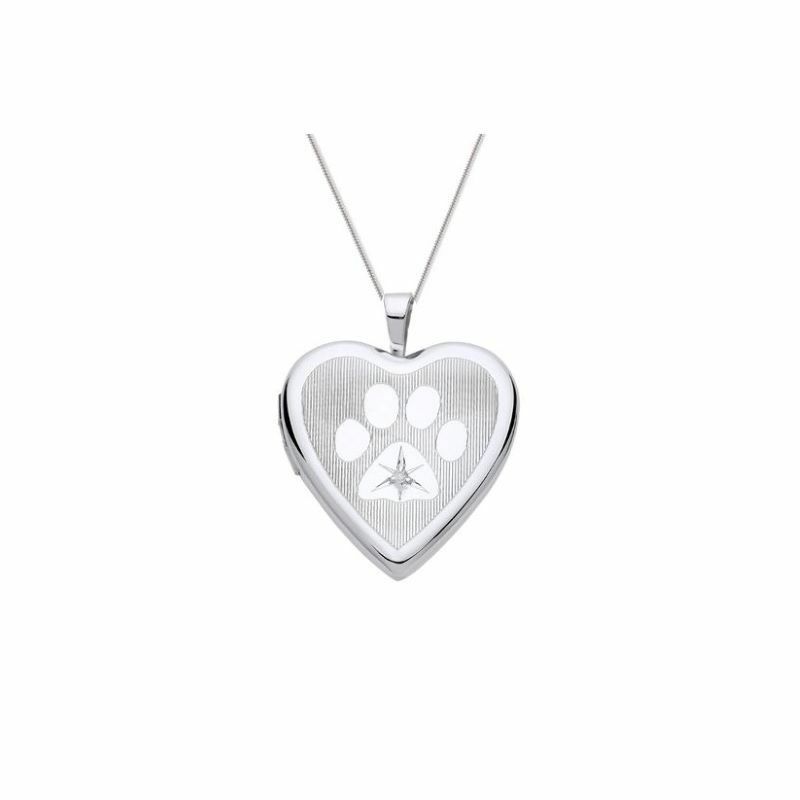 Pretty brushed silver heart shaped locket with polished paw print design and set with a real diamond. This locket measures 20mm x 20mm and is suspended on a sterling silver curb chain. Locket holds two pictures. Comes complete with a beautiful presentation box. Please allow 3 working days for free UK delivery.